If you are on the verge of becoming a pharmacy technician in Oklahoma, you want to stay on top of all of the regulations and information you need to know to succeed. 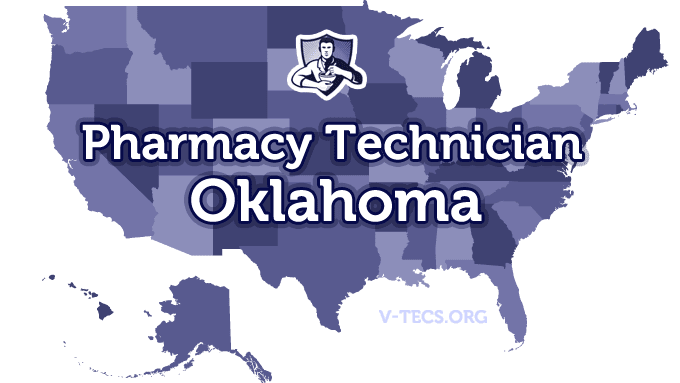 Are Pharmacy Technicians Regulated In Oklahoma? Does Oklahoma Require Certification To Practice As A Pharmacy Technician? No they do not require them. Which Of the Certification Exams Are Approved By Oklahoma? None, but employers may have certain requirements. Before you are registered you have to go through a pharmacy technician in training program, and then after registration you get more on the job training. The Oklahoma Pharmacists Association, which can be contacted at www.opha.org. Be employed at a pharmacy. The 1st and 2nd phase of the pharmacy technician in training program must be completed in your place of employment. Then comes the written application for registration as a pharmacy technician to the Oklahoma State Board of Pharmacy. The application can be found at http://www.ok.gov/OSBP/documents/technew.pdf. There is also a nonrefundable $40 that must be included as well. You also must prove your citizenship as well. Yes there is, and it is overseen by the pharmacist that is in charge. Annually, and the expiration is the last day of your month of birth. The $40 renewal fee must be included as well. The application for renewal can be found at http://www.ok.gov/OSBP/documents/tech0708.pdf. Let the board know of the change. Technicians in the pharmacy must be wearing name tags that state they are technicians at all times, and every action they take is the responsibility of the pharmacist in charge. A pharmacy technician can only perform non-professional judgment tasks, and there is a limit of two technicians in each pharmacy.